It is chilly here today (east central Alberta, Canada). The temperature was at zero degrees this morning so the kids had to wear pants to school with jackets and hats! It was the first frost of the fall too. So it’s I great day to start a Christmas quilt! I spent the morning cutting these lovelies. 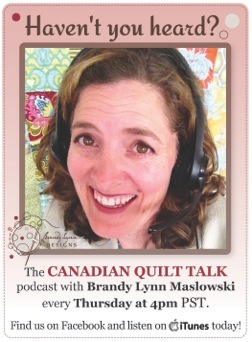 You can find the previous pod casts (say, for example, you wanted to hear my skinny dipping story) and more information on Brandy Lynn’s blog or on her website. So, anyway, that’s what I was up to this morning. This afternoon I plan to start cutting these fabulous Christmas fabrics by Monica Solorio-Snow of The Happy Zombie. These fabrics are from her “Holiday Happy” line that came out two or three years ago. And I plan to use them to make this quilt. The “Penny Candy” quilt in the “Strip-Smart Quilts” book by Kathy Brown. (Published by “That Patchwork Place”.) I’ve only been meaning to do this for two years since the book came out in 2011! 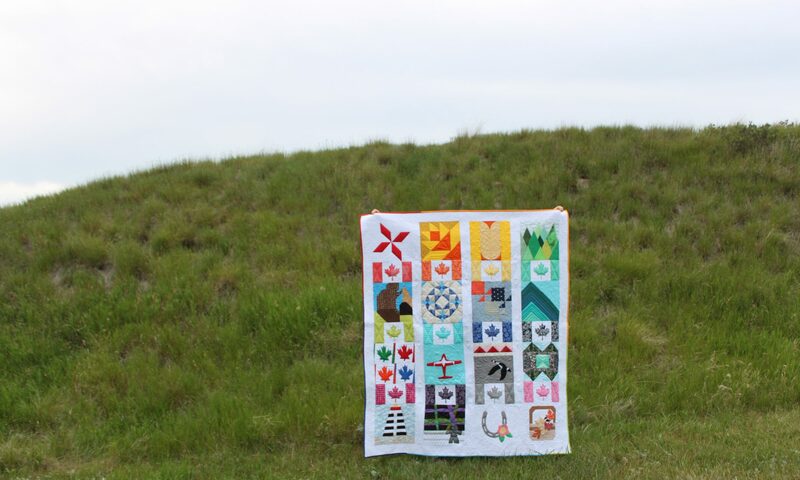 I hope I have enough fabric to make two of these quilts. One for me and one for a gift. I collected these fabrics from 3 or 4 online shops back in 2011. I actually wrote to Kathy to ask her the name of the fabric line and she emailed me back and told me! I was so happy she did. So I’ll be cutting strips this afternoon. At least until I have to go to work. (I got a part time job in a ladies fashion store.) I love those Gnoma Clauses on the fabric! Santa gnomes… too cute!